Jayne Denham and Tamara Stewart Concert. 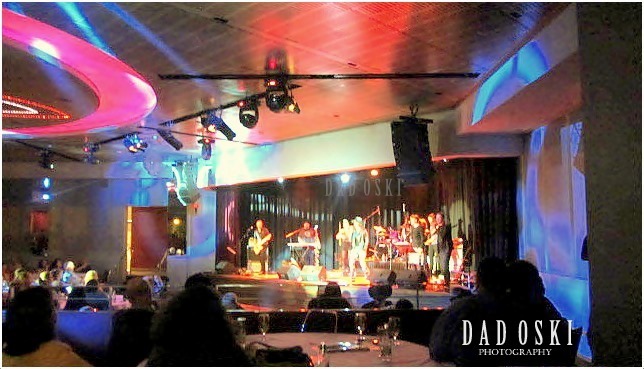 We attended the concert at Rooty Hill RSL in Blacktown New South Wales of Jayne Denham, one of the popular singing female artists here in Australia two years ago. Another popular female artist named Tamara Stewart did open the concert with some of her popular songs. Seats were all occupied which means these two singing artists were well known in this place. That was too, my first time to watch a concert of these two female singing artists, though there are heaps of Australian females out here who are very good in country music. I love country music, and the moment they told me to attend this concert with no second thought I said, yes right away. The show made the people ecstatic, danced and sang while the singers and their band enjoyed, sending off their very best for the concert. That was indeed a great show! Tamara Stewart and Jayne Denham (with hat) during the concert. The annual Tamworth Country Music Festival in Tamworth New South Wales, is the place where all country music singers male and female render their excellent entertainment talents and the event runs for more than a week. I got a hard time posting the videos I took during the concert but am posting some of their music videos from YouTube instead. Here is one of the many popular music videos of Jayne Denham. For Tamara Stewart here is one of her music videos, too.